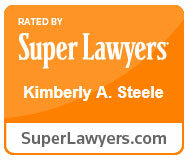 Home - The Steele Law Firm P.C. Representing clients in construction, bonding and commercial law. Welcome to the Steele Law Firm, P.C. The Steele Law Firm, P.C. represents clients in construction, bonding and suretyship, and commercial law. We are devoted to our clients and maintain a 24/7 attitude – available to our clients at all times. It is essential that not only are our clients’ needs recognized, but those needs are satisfied in a prompt and cost effective manner. Whether we are your litigators, your mediators, or your sounding board, our diverse backgrounds allow us to successfully act in a multitude of roles and achieve the best possible results for our clients. Call or visit us to learn more about The Steele Law Firm and the services we provide to the construction, bonding and commercial industry.